1) Go to the Start menu, type in Regedit in the search field. Open this program. You should see a folder/number before zone number 0. Delete whatever is not listed as 0,1,2,3,4 etc…. Now try Hoster, it should now open correctly. 2. Click the Download button: Save the installation file on your computer hard drive. 3. Use Windows Explorer to find the installation file and double click it to run it. 4 Follow the instructions carefully. Be sure you enter the email address you originally used when you purchased the software. If you are doing this on a computer with Hoster installed, the registration code is automatically filled in for you. 5. If your 12-month upgrade period has expired, you will be prompted to purchase an upgrade. 6. Once the order goes through with approval of your credit card, you can finish installing this version. If you follow these instructions and still have trouble, please go to: http://www.mtu.com/support/customer-support.htm#WebEmailForm and complete the form for technical assistance. Be sure to provide detailed information about your issue. New Feature! Move Your Installation Without MTU! Up and running in minutes on a new computer! Hoster 4.0 has a new MTU feature that allows you to remove it from one computer and install it on a new computer; immediately or later. For example… if your show computer crashes at 5:15PM before your Saturday show at 9:00PM, because it is “dead” it cannot go on-line to remove Hoster. However, your backup computer can. Run the Hoster Installation program on your backup computer, select REMOVE and finish. This removes the Hoster program, leaving all KMA files, Songbook, Singers Database, etc. on your backup computer. Then, run the Hoster Installation program on your new computer (it must be on-line to register Hoster, but not required to run it). You are back up and running in minutes, without MTU help. 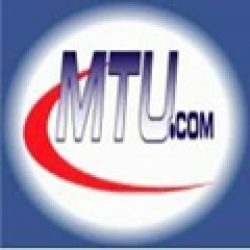 To REMOVE and allow RE-INSTALLING requires the computer to be on-line to connect to the mtu.com web site. If you are not on-line, removing Hoster will NOT allow re-installing on another computer. Go to My Account and login. Scroll down to find your Products, Registration Codes and Download links. Click the Tools menu, then Find command, then Find Files and Folders command. In the Look in: field, click the drop down list and select My Computer. In the window below, double click on the filename to start installing. You can install Hoster under the Administrator or any User on your computer. For Vista, you must have Admin Privileges. Hoster installs on your C drive under the C:\Program Files\Micro Technology Unlimited\Hoster folder. Hoster 4.0 requires your computer to be on-line to the Internet to register, but not required to run. A dial-up connection (or faster) works fine. If a prior version of Hoster is found, it is automatically updated. Your Registration Code, Email, name, address, etc., preferences such as colors, fonts, screen sizes, and KMA files are not removed or changed. If you bought a Hoster Upgrade (instead of a Full version), the first computer you install it on requires that a prior version of Hoster be found already installed. Read the License Agreement and click Yes if you agree. If you continue, you legally accept the terms and conditions of this License. In the screen that requests your name and address, enter them so we can contact you if needed. When the Registration Email and Registration Code screen appears, enter these from your Account above. Enter a name for this computer that is unique from any others you will install MTU software on so we can help you with THIS computer if needed in the future. Click Next. Installing Hoster DISABLES the Windows XP Autorun for all CD/DVD drives on the computer (Vista may perform differently). If Autorun is enabled, it can take 5 to 10 times longer to import a disc. If any error messages appear, read and follow the instructions to correct the problem. When the last screen appears with a Finish button at the bottom, click it to complete the installation. CONGRATULATIONS! Your Hoster is installed and you are ready to enter the Karaoke Digital Age. NOTE: Hoster 3.400 was also installed with Hoster 4.0. This is located at C:\Program Files\Micro Technology Unlimited\Hoster\Hoster34.exe – This version is the same as Hoster 3.321 which was the last stable version before releasing 4.0. If you have any problems you can run this version if you need to, without having to uninstall version 4.0. It was built with the same security as a backup if you experience any problems. You can also make a short cut to this if you need. 5) Any Syncing issues or Audio/Video issues is due to your Audio/Video card drivers needing to be updated to support Windows Media player 11. Please go to the manufacturers website and get the very latest drivers for your Sound card and Video card. Then let us know if you still have a problem. 6) Error Stating the Following: Download Version 4.01 this was FIXED July 18, 2008. You do this from #4 Above. Error: Could not set the size property, Invalid Property value Enter a value greater than zero. It then ask if i want to continue running scripts on this page. 7) Any errors stating 1004 are due to not having Internet Explorer 7.0 Installed. Install this to fix this error. Any errors dealing with Memory not being available is also caused by Internet Explorer 7.0. Install this to fix these errors. To uninstall WMP11 follow these steps. This error can happen if IE6 is installed. Installing IE7 should fix it. However, there are some new reports that this happens even with IE7 this is most likely because they do not have all the Windows updates for IE7 but I am unsure which update is the one that does it. Update: I fixed a settings.h bug that could have caused the (1004) Windows error. This error means that DirectX overlay is not turned on or you are running an old version of DirectX. DirectX 9.0c should be what you have installed. If not, please do the Windows Updates, click CUSTOM, not EXPRESS, and find the DirectX download. .wmv files that have DRM may not play in hoster due to not supporting DRM. Apparently, some user still have .wmv files with DRM. I will come up with a fix for this. Right click on the sidebar or go to the “Windows Sidebar” icon on your tray. Click “Properties” uncheck the start Sidebar when Windows starts” checkbox. Restart computer. Right click on the desktop and select “Personalize”. Select “Window Color and Appearance” and unclick “Enable transparency”. Open the classic appearance properties and choose either “Windows Vista Basic”, “Windows Standard” or “Windows Classic”. Restart computer. Open Control Panel and select “System”. Go to “Advanced system settings” and select the “Advanced” Tab. Click the Setting button under the “Performance” area and click “Adjust for best performance” in the “Visual Effects” tab. Restart computer. Open windows media player and right click the menu bar. Select “Tools” then “Options…” Go to the “Performance” Tab and select “Choose connection speed:” set it to “LAN (10 Mbps or more)”. Close WMP. Open windows media player and right click the menu bar. Select “Tools” then “Options…” Go to the “Performance” Tab and un-select the “Turn on DirectX Video Acceleration for WMV Files”. Close WMP. Select “Internet Options” and then select the “Advanced” tab. Scroll down to the “Secuirty” section and select “Allow active content to run in files on My Computer”. Also, select “Allow active content from CDs to run on My Computer”. Restart computer. Error: No Songs Matched What You Entered In The Search. Under Hoster click the Search button, if the Duet or Mux are GREEN, click them to turn them off. Now search again and your songs will come up. When Importing In Hoster I Get 0 Byte Files, That Will Not Play. How Do I Fix This? When you get a 0 byte file, it is not importing correctly. This is caused by missing Windows Updates. Another way to know if this is your fix, is to open the Default drives dialog, located on the Tools Menu in Hoster. If there is an @ sign in front of the drive name instead of a letter this is your exact problem. You MUST have all of the Updates from http://windowsupdate.microsoft.com, click on Custom. Then select all of the Optional Updates. If you have alot, you will have to do this once, then reboot, then go through the process until there are 0 updates showing. This is the ONLY FIX, get all of the Windows Updates. You must delete the Songs.mdb file from your computer. Then Rebuild Your Songs Database, to fix this error. Now find the file named songs or songs.mdb and select the file so that it is highlighted. Now press the Delete key on your Keyboard. Answer Yes to the question asking if you want to delete this file. Hoster will now rebuild your Songs database as soon as it opens. Once this has finished, you should no longer get this error. How Do I Play Video Files in Hoster? You need to install Video Codecs on your computer to beable to play different types of Video files under Hoster. Save this file to your computer and then double click on it to run it, Following the onscreen instructions. This was removed due to problems. You can only add one MP3 song at a time.